The state has been attracting more investors, businessmen and trading firms to various cities for setting up their industrial units. 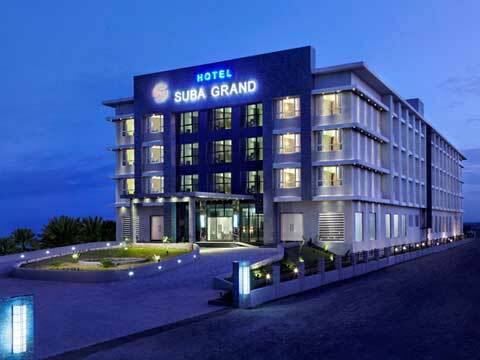 SUBA Group of Hotels plans to open three more hotels in Gujarat's Bhuj, Bhavnagar and Junagadh cities, says a PTI report, citing a senior official's statement. "We have already opened three hotels in Dahej, Ahmedabad and Vadodara and with three more upcoming hotels in Bhuj, Bhavnagar and Junagadh, the total number will go up to six in Gujarat," SUBA Group founder chairman and chief managing director Mansur Mehta told mediapersons after launching Hotel SUBA Elite. SUBA Group of Hotels, part of the Mumbai-based MRL Group, has seven hotels, including three in Mumbai, and one each in Ahmedabad, Vadodara, Dahej and Dubai. Huge industrial development is taking place in the state after the success of Gujarat Vibrant Summits since 2003. The state has been attracting more investors, businessmen and trading firms to various cities for setting up their industrial units. To meet their ever-increasing demands, we have decided to expand our hotel business in the state, Mehta said. The group's new hotel in Vadodara is located close to the airport and railway station and is also near to the major corporate offices, he said.